Get Christmas printed! 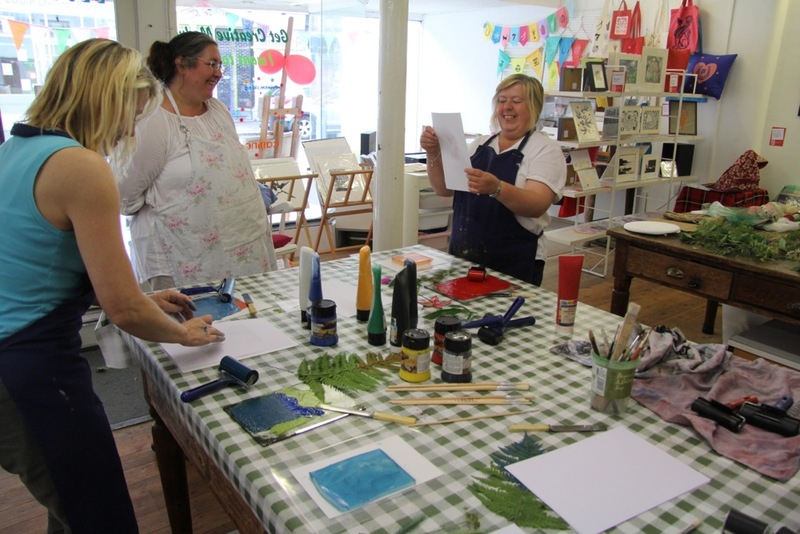 Join us for a day of printing to make special presents, cards or wrapping paper. Hand print a T-shirt, tea towel, bag, cards, badges or wrapping paper with a big selection of designs (Xmas themed or otherwise), or make up your own. 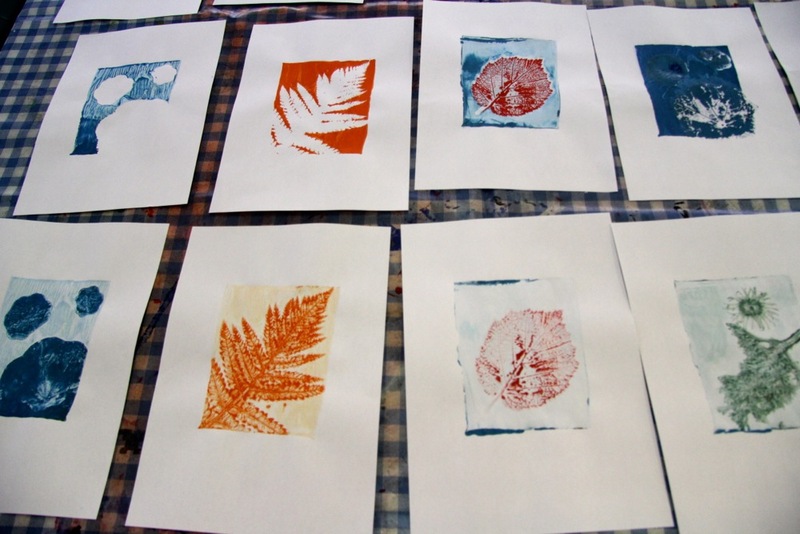 Try your hand at screen printing, rubber stamping and Risograph printing with Xtina Lamb. Great for adults or children alike, come as a family, with a friend, or on your own. Using a wide selection of rubber stamps, print and draw lots of designs, then choose your favourite 3 to make up into badges or fridge magnets. If you want to make more, it’s 50p per item. We have over 100 designs to choose from including birds, robots, a camera, skulls, Day Of The Dead, ships, flowers, animals, mermaids, green men, the Waghorn statue and a traffic cone! Mix and match them to custom screen print a bag, tea towel or t-shirt. Or bring your own clothing item and print for £6. Extra printable extra items are £2 each. Have a go with our stencil duplicator machine and print up 20 A6 cards, or 10 sheets of A3 wrapping paper in two colours from your own drawing or collage. Choose from 10 xmas designs and screen print them onto card blanks or kraft paper, or make your own relief printing foam stamp and embellish with rubber stamps. You’ll have 10 card blanks or wrap sheets to print. If you can’t choose and want to print everything it’s £20 for adults, £15 for children, or £28 for an adult and child together with both of you printing, and £10 for extra children. 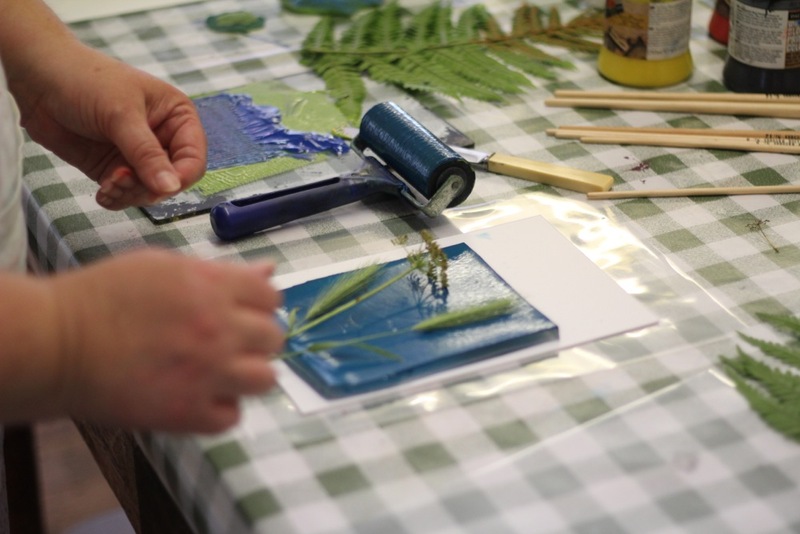 Last year during Medway Open Studios & Arts Festival​ we ran a jelly printing workshop at INTRA with Dianne Reeves using monoprinting plates made from gelatine. It was loads of fun and we made some beautiful prints. The plates worked brilliantly and had some wonderful qualities that are difficult to achieve with regular monoprinting and hard plates. You can press objects into the jelly and print the impression that they leave behind. But in the summer heat the plates kind of melted after a while and they had to be stored in the fridge beforehand and thrown away afterwards, which is all a bit of a faff, so now we’re looking at alternatives to get the best of this process with less hassle. There are two reusable options that don’t have to be refrigerated: homemade gelatine plates mixed with glycerine, and an American product called Gelli Arts Printing Plate made of mineral oil that is very durable. It’s nice to have an option that doesn’t use animal products. We’re going to be selling the Gelli Arts plates this year and will be running workshops with them, as well as trying out the homemade version. There will be some available at the print studio for use during open access sessions too. This is pretty exciting as the effects you can get span everything from bright and bold to incredibly delicate and detailed. 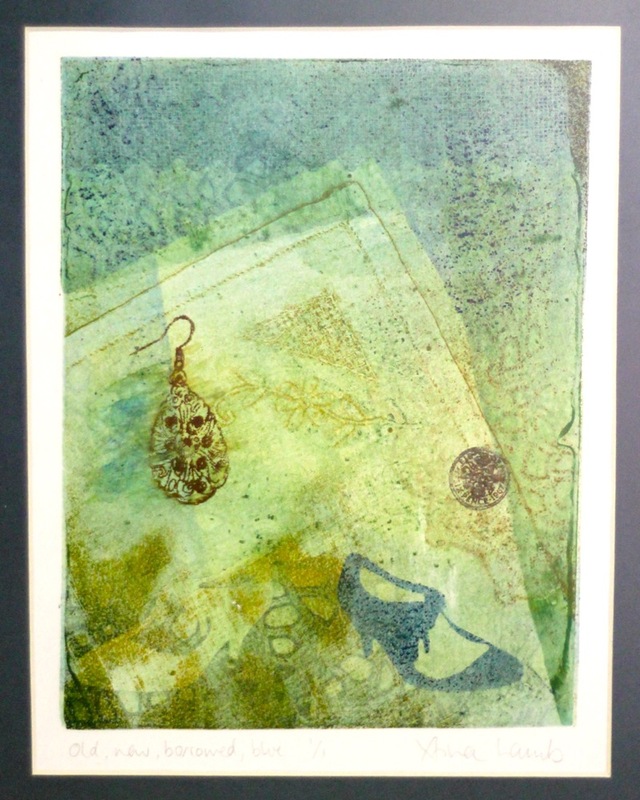 There are quite a lot of people printing with gelli plates and a popular style has developed to layer up patterns and shapes to create very pretty papers that can be used as backgrounds or for decorative use as book coverings etc. We’re hoping to use them as a fine art tool and experiment with many different techniques to open up new possibilities for our printmaking. They can be combined with other kinds of monoprinting or stencil techniques to very strong effect. Here are some pics of last year’s jelly printing, please let us know if this is something you’d be interested in. 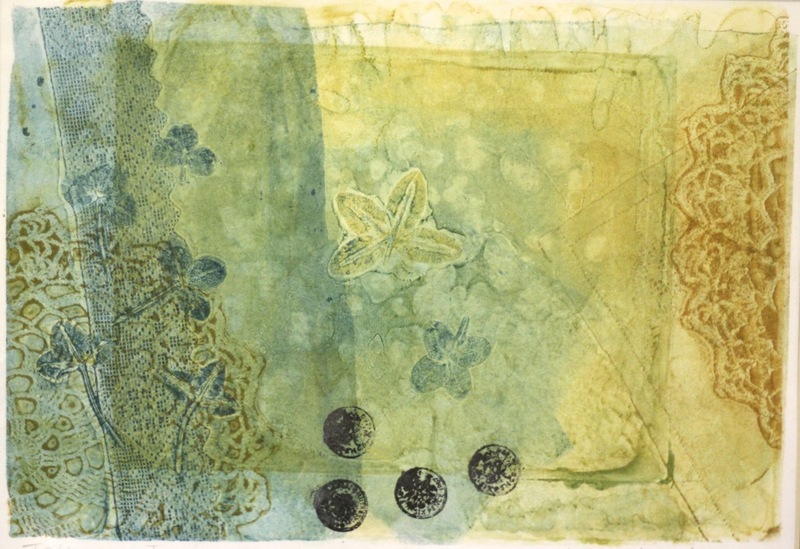 UPDATE: Our Gelli printing class is now listed – first class July 18th 2015. 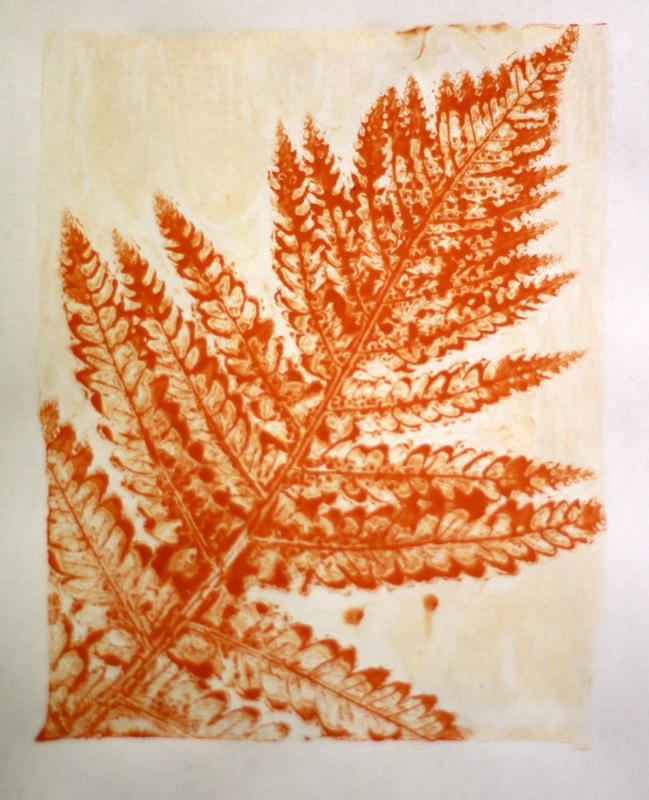 Prints by Xtina Lamb made at Medway Fine Printmakers using a jelly plate. Textured items such as lace, embroidered handkerchiefs and clover were pressed into the plate, a paper stencil was used with the plate for the shoe detail and a thermofax print added for the sixpences.